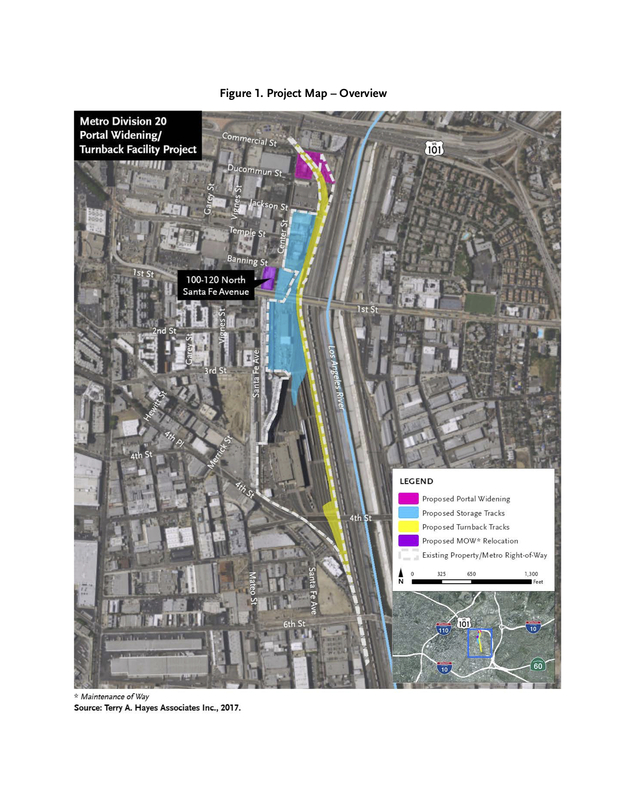 Heads up, folks: Metro released a Notice of Preparation (NOP) for the Division 20 Portal Widening and Turnback Facility project on October 18, 2017, hosted scoping meetings and recorded public comments until November 17, 2017. Since then, Metro has released a revised NOP to notify the public that the proposed project footprint has been expanded to include the property at 100-120 North Santa Fe Avenue. This is the project that will allow Red/Purple Line trains to turn around more quickly at Union Station and will make it possible to run more subway trains on the Red and Purple Lines. Metro invites public comments until February 2, 2018, on the acquisition and reuse of this additional property, as part of the analysis for the Draft Environmental Impact Report. Metro will accept public comments about the revised NOP January 3 – February 2, 2018. Comments submitted about the initial NOP from October 18- November 17, 2017 have been recorded by Metro and do not need to be resubmitted. No additional scoping meetings are scheduled. Questions? Please contact Michael Cortez, Community Relations Manager at 213.922.4465 or div20portalwidening@metro.net or visit our project website here. Can’t wait for that overground Arts District Station! Our one and only overground subway station in Los Angeles…(Hopefully it happens). My only comment would be the call the construction vehicle company and close the comments period. Let’s get this built.